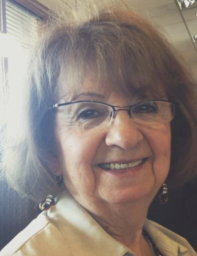 Maribel Monterrosa,81, of Dunnellon , FL and Barnegat, NJ passed February 2, 2019. Born in El Salvador to her late parents, Jorge and Isabel Imery, she emigrated to the US in 1961 and settled in New York. She formerly resided in Jackson, NJ. Maribel is remembered for her genuine loving and nurturing nature, which was fed by her spirit deeply rooted in her faith. Predeceased by her beloved husband of 50 years, Raul A. Monterrosa, she is survived by her three loving children, Raul Monterrosa, Jr. and wife Mary Jo, Jerry Albert Monterrosa and wife Sally, Linda Maria Jaffe and husband Joseph; nine adored grandchildren, J.J., Michael, Christian, Hollis, Carrie, Isabel, Mila,Joey and Juliette; brother and sister-in-law, Roberto and Alicia Garcia; many loving nieces and nephews. Viewing Thursday, February 7, 2019 from 4 to 8 PM at Barnegat Funeral Home, 841 W. Bay Ave., Barnegat. Mass offered Friday, 10 AM at St. Mary's Church, Barnegat. Private cremation to follow.